a needy dog find that second chance at love and life. All funds raised go directly to veterinary costs and care. My item in the auction this year is a stitch-bound dog-themed mini album for scrapbooking. I have previously posted pictures of my dog-themed mini album and also a video of the donated dog scrapbook. At my last workshop, I accepted donations of cards for the children at Toronto's Hospital for Sick Children as my class fee. I'm on the Smiley Team for Kards for Kids and that's where all the cards went. I'd like to showcase what my Creative Crew was able to come up with. Claire created the most, with 5 cards total. This witch hat Halloween card is make with stickers. How fun is that? There's a hat on the envelope and some on the inside too with a big orange "Happy Halloween!" The sentiment on this card is a fancy, iridescent glitter. On the next pair, Claire used a cool witch stamp and some black cats! And, one of my favourites, is this embossed jack'o'lantern handmade Halloween card. Awesome, huh? A tweensy bit spooky, maybe. Claire decorated all the insides of her cards too, with a piece of white for writing and a stamped sentiment and stickers. The last card by Claire is a birthday card. It is bright and bold and beautiful! I am very grateful for the time and effort Claire has donated to create smiles for the kids! From my last post, we learned that there are many styles of handmade designer jewellery for many moods, occasions, and outfits. We, as people, are diverse and our accessories tend to reflect that. 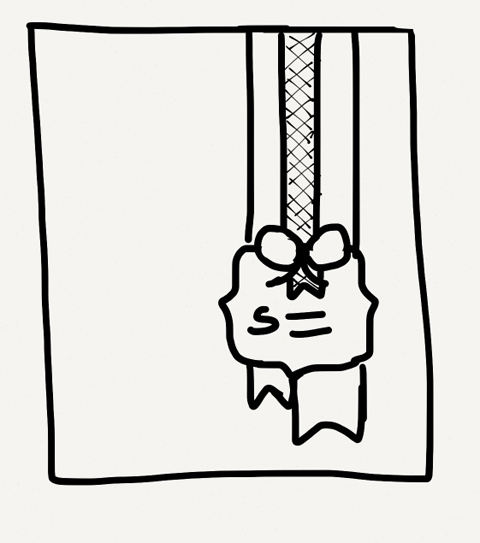 Do you ever wonder, however, what our accessories reflect about us? Jewellery by Kat on iCraft makes a lot of beaded charm bracelets. 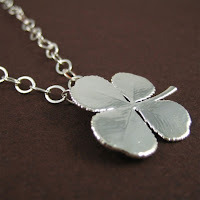 (See them at http://icraft.ca/jewelry-by-kat) What is the attraction to charms, I wonder? Dictionary.com defines charm, the trait, as “the power of pleasing” and charm, the object, as “something worn or carried on one’s person for its supposed magical effect”. Apparently, the earliest known charms were carried to ward off evil back in the Neolithic era when hunters would carry interesting stones and trinkets for good luck. The Egyptian Age popularized the wearing of charms around the wrist or neck. Some charms were protective and woven in to their religious beliefs for the power of pleasing the gods. Others were status symbols and symbols of social belonging. Others yet were meant to be used in the afterlife to help identify who you were and guide you safely onward. 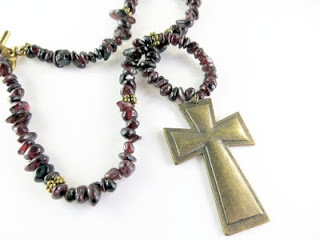 One of the most recognized “charms” of the modern age is the cross, as seen in Kat's Beaded Cross Necklace in Garnet. Me calling it a charm might sound offensive to some, but the cross of Christian religions is a symbol of belonging to a certain group, is it not? It is worn to show your faith: your belief in something extra-sensory that may bring you good fortune like the strength to carry on through hard times or the nobility to do the right thing, for example. Charms, in fact, have played very prominent roles throughout the ages. 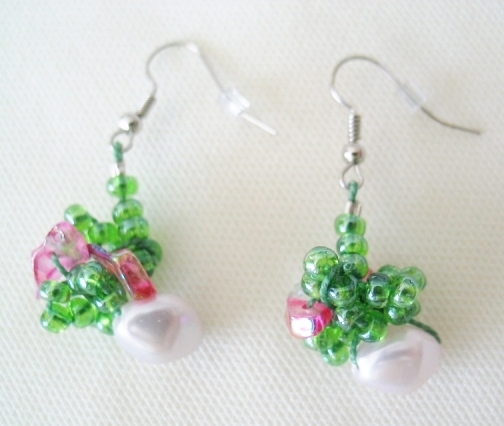 Over a great period of time, however, the primary use of charms has changed. Queen Victoria is credited with re-popularizing charms as status symbols and aesthetic trinkets. Eventually, charms became widely commercialized from the elaborate to the plastic gumball machine kind. In the 1940’s, plastic charms for children were greatly popular. Children collected ones that came with candy, coveting the rare ones that were pop culture symbols like Disney characters. Kat, from Jewellery by Kat, believes that children’s attraction to charms stems from the fact that the charms are small and represent things in our world. 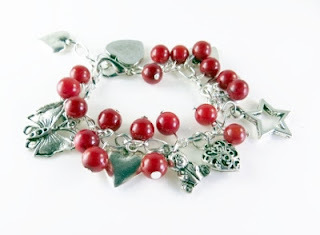 An example of a Little Girl's Red Beaded Charm Bracelet with lots of little charms of familiar objects. I argue, however, that wearing those symbols shows where you place your favour. 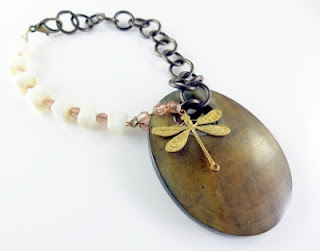 Even in adulthood, this beaded charm bracelet with dragonfly charm by Kat shows outwardly that you like dragonflies or that dragonflies signify something of meaning to you. Kat thinks that the charms we choose do reflect our likes, just like colours and food. If our mood plays a role in our choice of daily accessory, then that accessory also serves as a sign board of how we are feeling that day. 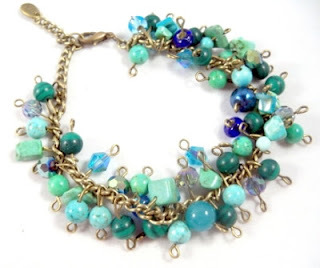 I’d bet this “cha cha bracelet” (found at http://icraft.ca/handmade/29523/cha-cha-bracelet-with-green-and-aqua-beads.php) in Kat’s jewellery shop reflects your flare. This beaded bracelet is popping with colour and shimmies and jingles like a dancer on your wrist. Surely, it is a symbol of extroversion? What do you think? I know that, when I was younger, I was drawn to charm bracelets because it felt like I had a lot even though I had only one bracelet. I grew out of the over-stuffed charm bracelet phase. I do still like charms, though, only in smaller doses. 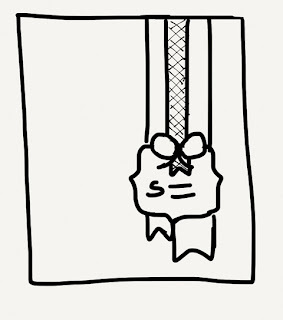 I like them hanging from a bookmark or on the front of a photo album for example. Kat thinks that we never out-grow our love of charms, we only grow up. Looking back now, perhaps some of the ancient belief in the charm as an object of good luck or protection is subconsciously ingrained in us from our Neolithic days and that extra sensory value of the charm rings truest with us as children. As we grow and mature, we are still attracted to charms but our deep seeded intuition becomes only a distant whisper. Holiday Style Boost with Seaglass Jewellery by JaJeJems! Learn how to pair jewellery with your own style just in time for all the holiday parties! If you are like me, you are in dire need of jewellery advice! I’ve enlisted us some help: Janis and Jessica from JaJeJems on iCraft specialize in seaglass jewellery and wire-wrapped necklaces, bracelets and earrings, and also dabble in lampwork beads. I think this mother-daughter team has got our bases covered! Read on for insight on choosing the right handmade designer jewellery to accessorize ourselves and all our friends this holiday season! After her retirement, Janis started to dabble in deconstructing different pieces of jewelry and designing completely new pieces from them. 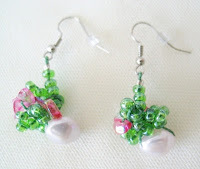 She has been creating her own designer handmade jewellery for about three years now. Janis loves pioneering her pieces by experimenting with many techniques and materials, including leather and ribbons. 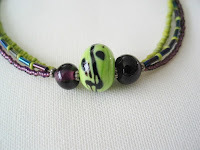 She even makes her own lampwork glass beads to use in her handmade necklaces, bracelets and earrings. Janis’ favourite style of jewellery includes simple pieces with a few interesting beads at the neckline or slightly lower to be visible at the top of a sweater or in the neckline of an open blouse. She adores bracelets and prefers small earrings that don't dangle. The designer in her, however, likes to play. Many of her handmade necklaces hang in multiple strands, the bracelets jangle and many little dangling earrings adorn the shop. Her pioneering spirit is why some of her pieces are asymmetrical or multi-layered! 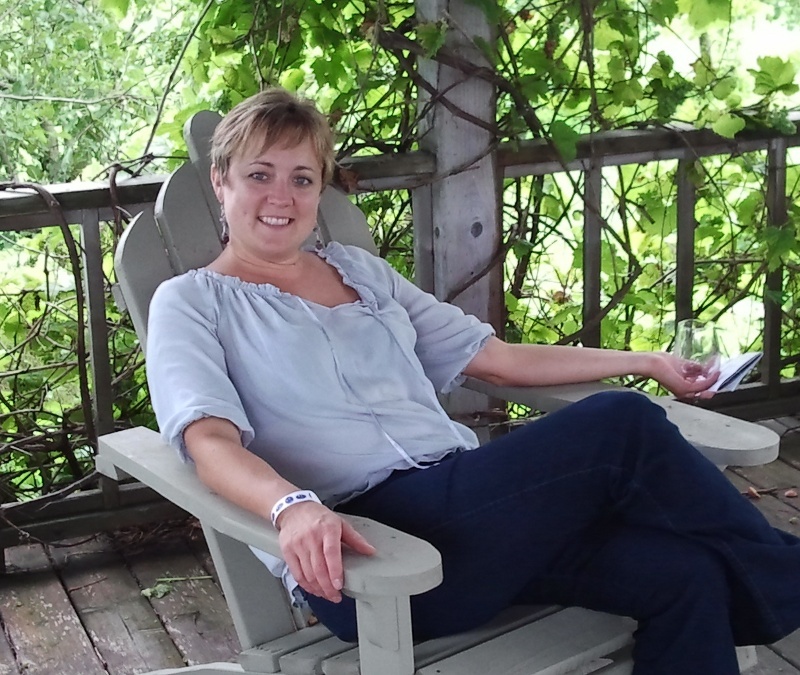 Jessica studied fashion design at Fanshawe College and spent years of her life working in the Fashion Retail Industry with many of those years being at accessories stores. 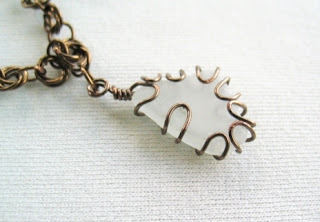 Even with two active children, a home sewing and alterations business and being heavily involved with the Home and School Association, Jessica has been designing her own style of handmade jewelry for the past year, including some wire-wrapped seaglass pieces that her mother, Janis, works in to new creations. 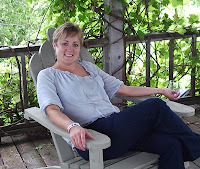 Although Jessica credits her mother for her inspiration, the seaglass jewellery collection of JaJeJems was born out of a love of walking the beaches of eastern Canada looking for beautiful pieces of beach glass, each uniquely etched by the waters beyond the shores. Janis: "I think that depends very much on the individual. We often have customers approach us looking for something special just for a certain outfit or occasion. Others are looking for more versatile pieces that can be worn with many outfits or on different occasions. I think wearing the same piece of jewellery for dressing up as you do for casual wear is a lot more common than used to be." Jessica: "I truly believe that people buy jewellery based on mood more than anything. Maybe an outfit plays into it for special occasions but in my experience the more flexible the piece, the better. I think you really need to have an overflowing jewellery box and keep adding pieces so you always have the right one to suit the day and the outfit." I asked if buying jewelry in a set, as with their crocheted bead bracelet and drop earrings or mixing and matching separates is the way to go. Makes sense to me. When you apply make-up, the general rule is to play up one thing and make the others more demure like having smoky eyes and subtle lipstick, or bold lipstick and subtle eyes. Why would it be any different for accessories? What about putting it all together with an outfit though? I gave a few examples of holiday party wear possibilities: a little black dress, a sparkly red one or a demure smooth satin gown. I was pleased to learn that JajeJems has a set that would work for all of them! Their sophisticated lady beaded choker necklace and earrings set pictured above is a classic fit for any occasion or get together! 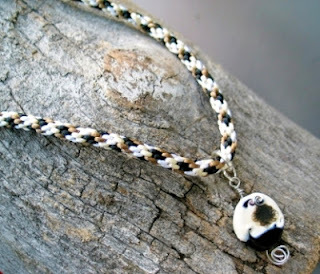 On the other hand, their black and white lampwork bead necklace that captures the tug and sway of windy shores is perfect for the little black dress but less suitable for the others. I suppose the lesson is to wear what suits YOU first and your outfit after. If you feel like being bold and sparkly, go for it! If you feel like being seductively understated, go for that! Well, how about buying for someone else? How do you know what to get someone? 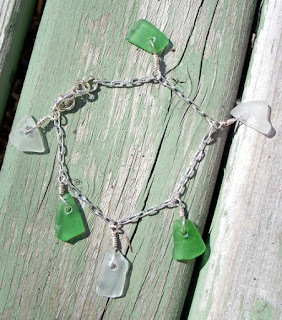 As examples, the lampwork necklace mentioned earlier is great for casual wear, the office or a little black dress whereas this soft and cool seaglass bracelet in green and white might better suit someone who wears jewellery with anything from blue jeans to a sundress but, as Janis points, out, "... of course, it has to be someone who likes bracelets!" JajeJems has been working on a some jewellery designs for men this season, using stone, bone and metal beads, strung on leather cord. So far, they have focused on masculine colour schemes and pieces with more substance. The man’s beaded leather bracelet in the seafarer collection pictured here is an example. 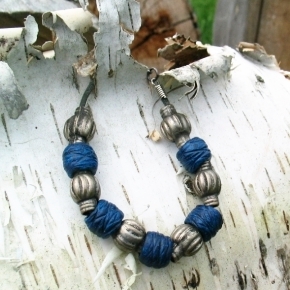 I love the blue in this bracelet! It's rich and mature. So far, the designers have had a positive response from several male family members and friends! I guess this is why there are so many choices for jewellery in the world. There isn’t any single factor that defines what necklace or what bracelet or earrings *must* be worn with particular styles or fashions. It’s more of a “right time and right place” sort of thing. The piece must fit the person, the mood, the occasion and the general flow or feel of the outfit of the day. I suppose the lesson is that buying handmade jewellery this holiday season almost *can’t* go wrong! There will be a time and place for everything, so go ahead and buy it and its day will come! I still have some projects to share from the crafting retreat I went to with my creative crew in September, however, today I'm showing you something I made for World Card Making Day. As part of the Smiley Team for Kards for Kids at Toronto's Sick Kids Hospital, I won a couple of stamps for participating in the challenges. One of them was this spider boy from Your Next Stamp. So, I decided to drum up a Halloween card for the kids. I coloured the stamped image with my Copic Markers and cut him out by hand. I made the wooden plank background from a tutorial on Stamp TV. (Click here to watch the tutorial yourself!) I was quite jazzed to find a way to make a masculine background. It is so fast and easy too! I added cardstock paper buttons to my card which is one of my Accucut Craft dies. The sentiment (which came with the stamp) is cut from some Lifesytle Crafts die cut frames. In honour of World Card Making Day, The Kards for Kids team has some challenges posted: a fall themed card, a red and white Christmas card and a snowman card. Check out the challenges there and enter today!